This week, we're exploring south France with a very unique grape varietal: Gros Manseng! Unless you're a connosieur of armagnac or wines from South France, you may not have heard of this 'big' grape varietal. Grown primarily in South-West France and Gascony, Gros Manseng is part of a family of three wines, which also includes Petit ('small') Manseng and Manseng Noir ('black Manseng'), which is a red wine grape. As the name suggests, the main difference between Gros and Petit manseng is the size -- Gros Manseng usually has significantly larger berries and berry clusters than it's 'small' cousin. 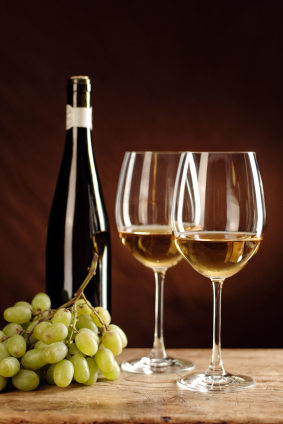 Also, while most Petit Manseng wines are sweet, many producers make dry or semi-dry wines using Gros Manseng. Gros ManseUgni Blanc in making brandy in France's Armagnac region. In addition to its usefulness in producing brandy, however, Gros Manseng is also used to produce table wines, either as a blend with another grape, such as Sauvignon Blanc, or on its own. Wines made from Gros Manseng typically have good acidity and pleasant floral and apricot aromas.When blended with Sauvignon Blanc, Gros Manseng's acidity helps balance the intense floral notes of French Sauvignon Blanc. When vinified on its own, the high acidity retains its usefulness, usually acting to balance out the sweetness in an off-dry or medium-sweet wine. Despite being thick-skinned, Gros Manseng requires good timing and care when harvesting. Picking the grape too early will not allow its full flavours and intensity to come out, while waiting too long will lead to 'flat' wines that lack flavour and are 'short' in the mouth. Additionally, if a winemaker is too rough with the berries, there is a risk of the wine developing excess tannins, making it difficult to drink. companiment to Thai curries and spicy sushi. So the next time you're getting take-out, pick up a bottle of Gros Manseng to accompany it! If this article has got you thirsting for a bottle of Gros Manseng, try Domaine de Papolle's medium-sweet Gros Manseng, available at an LCBO store near you!